"The happiness that comes from good tasting food, brings us life"
koiKOKORO philosophy is based on our guests' happiness, we only care about our patrons leaving satisfied after they had one of their most memorable dishes while experiencing our food. koiKOKORO uses carefully selected delicacies. Its clean and fresh substance makes our restaurant stand apart from the rest from the preparation, cleanliness & service of it all. We love to pass around and share the joy of food hand in hand with the nutritious values our delicacies offer. 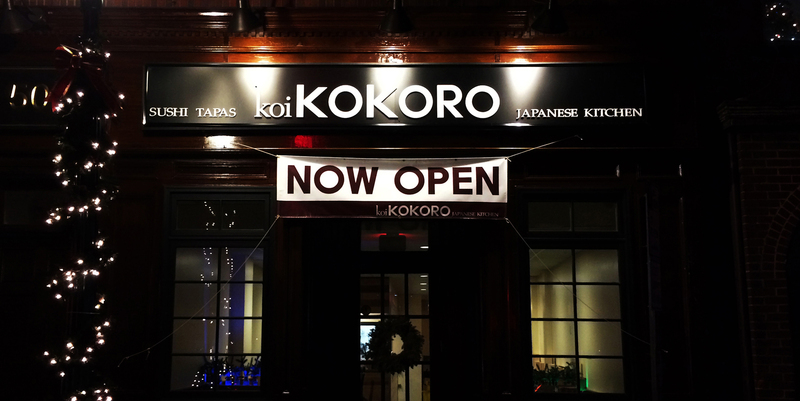 koiKOKORO not only strives for the importance of teaching our guests about the health benefits of our dishes, but we also designed our space to be of the upmost comfort level for you. Even starting with our chairs, bowls, you name it we put thought into it. Come in for a delicious and healthy meal today. Having A Large Party Event? The koiKOKORO brings the heart of our restaurant to any off-site or on-site event. We have the experience of over a decade in planning, managing & serving our guests for any event big or small. Since so much of our brand's philosophy is to keep our guests engaged, excited & leaving with a great feeling of happiness, we make sure to serve with your best interests in mind. koiKOKORO offers our clients an incomparable catering experience. Why not make your next gathering a memorable one? From private dinners to corporate parties, we provide you koiKOKORO’s signature dishes with excellence. Just give us the details, we'll take care of the rest. Be sure to fill out the phone and give us a quick follow up call to make sure things are in the works. "We bring together a level of happiness when our guests meet in a comfortable place such as ours, we find joy in making people feel good." The meeting place is sacred, and should be graced with good food, good people & good feelings. Our comfortable and relaxed atmosphere was designed for the purpose of sitting and eating while sharing eachother's thoughts & ideas. We at koiKOKORO want to inspire you, visually & through every moment while dining with us. Come meet us here! We welcome great minds & energy.